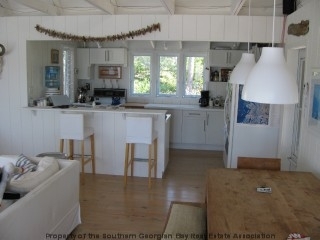 ARCHITECTURALLY DESIGNED BEACH HOUSE STYLE, TWO BEDROOM OPEN CONCEPT COTTAGE LOCATED IN A SECLUDED HARBOUR SETTING IN NORTH COGNASHENE GEORGIAN BAY. THERE ARE SUNFILLED ROOMS, PINE FLOORS, WHITE DECOR, A WOODSTOVE, A SCREENED PORCH AND 750 SQ. FT. OF DECKS FOR LOUNGING AND ENTERTAINING. GEORGIAN BAY WINDSWEPT PINES, GRANITE OUTCROPPINGS, SPECTACULAR VIEWS AND SUNSETS. 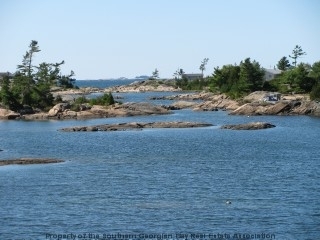 LOCATED 20 MINUTES BY BOAT FROM MARINAS IN HONEY HARBOUR. 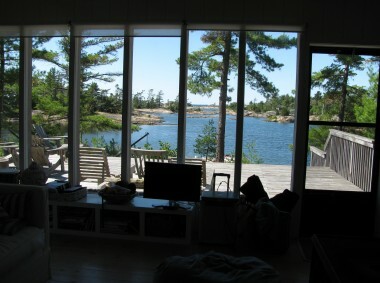 For more information and or to buy a Cognashene – Honey Harbour Cottage like this one please contact Rick Hill.